The total production of this wine is 470 dozen bottles. Matured for 12 months in 50% new French oak barrels and 50% 1 and 2 year old French oak barrels. 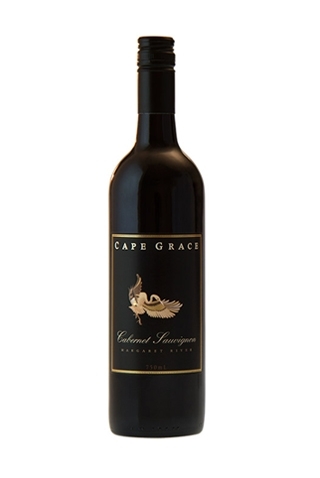 Cape Grace’s flagship wine. A stylish and expressive Cabernet loaded with juicy ripe fruit that gradually emerges as it breathes. As it does, other things start to reveal themselves, showing a meaty blackcurrant character, cassis, hints of ripe raspberry with seductive clove, leafy black olive and subtle cigar box. This is so complex. The initial attack of the fruit soon gives way to earthy truffle and mushroom overtures and amazing hints of tobacco box. The textural side is superb. Smooth, velvety and seamless with integrated weave of supple, silky tannins and fine-grained oak.